The Foster Institute’s Training Program will give your employees and team members a plan to survive when they encounter a gunman. If they know what to do, it is very likely that they can survive this dangerous and volatile situation. The training will create a sense of security, not panic. The program teaches attendees exactly why the odds of survival in these dangerous situations are actually in their favor. The training, pre-planning, and forethought gained through this program will increase their chances for success even more. 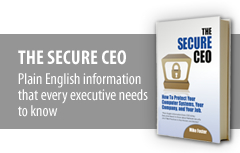 The program is so successful because it helps your employees feel safe at work. They have the confidence of knowing this training could save their lives, and even the lives of their loved ones. Your time, and the time of your team members, is valuable. That is why the training can be completed in about 90 minutes, including a question and answer session. Rather than one session with everyone in attendance, you may decide that it is best to have multiple training sessions to allow your team members to attend one that best fits their schedule. In addition to the group training, it is beneficial to have small group training for your team members. For example, your front desk staff will need specific guidance for what to do when a gunman enters the front door. For your other team members, their proximity to hallways and exits will affect their response to encountering someone wielding a gun. Even specifics that may seem trivial, such as the time of day they arrive at the office, affect the recommendations given in the small group sessions. Each of your team members can experience customized guidance and walk-throughs in their own office setting. [I am alive today because,] I did almost everything you teach. The program will be a great help to others should they experience, God forbid, such an extraordinary circumstance. [Prior to taking this course,] I was taken hostage in a bank robbery, bound and gagged, and left in a supply closet! Everyone needs this kind of training because it prepares them for life’s most intense and dangerous situations! You have the responsibility, as a leader in your organization, to take steps to protect the safety of your workforce. Your life and the lives of your workers may depend upon it. Contact The Foster Institute today at (707) 200-2095 or mike(at)fosterinstitute.com to schedule the “What to Do if a Gunman Enters Your Office: Peace of Mind for You and Your Team” Training Program.